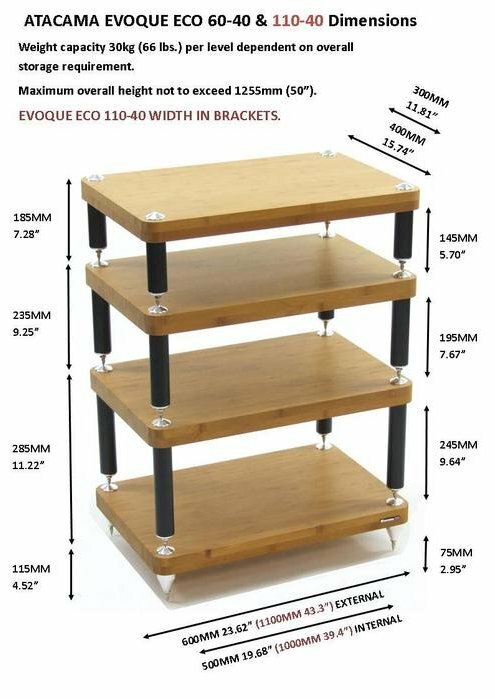 All Evoque Eco modular supports feature 40mm Carbonized Bamboo with a choice of three interchangeable leg heights capable of supporting equipment up to 30kg (66 lbs) per level. 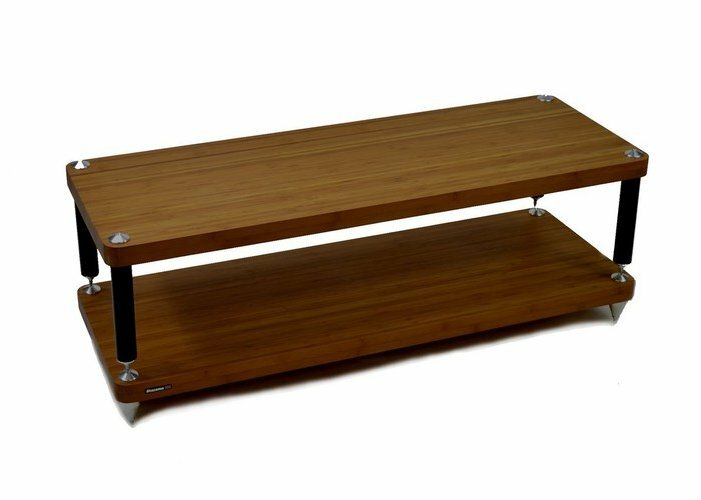 The black powder coated high gloss legs fitted to the shelf modules are equipped with twin A.S.I.S.T (Atacama Sonic Isolation System Technology) dampening gaskets and carbon steel studs with aerospace grade Aluminium grounding components matched to full adjustable nickel plated 8mm steel spikes. These components are designed to both dampen and then allow residual high frequency resonance reflection to be channelled away from the supported AV components so allowing them to deliver maximum performance. Atacama’s high density carbonized bamboo gives significant major sonic qualities when compared to traditional hardwood and veneered supports, with its unique micro growth pore structure offering both excellent vibration absorbing and resonance controlling properties. The production processes, layering, density and overall thickness have been specifically chosen to give the best possible acoustic results. However, please be aware that as bamboo is a natural material, there will be colour variations especially if adding an extra shelf module at a later date. Each bamboo module is selected, cut, finished and prepared by hand at the UK based Atacama factory so giving a stylish, modern appearance. 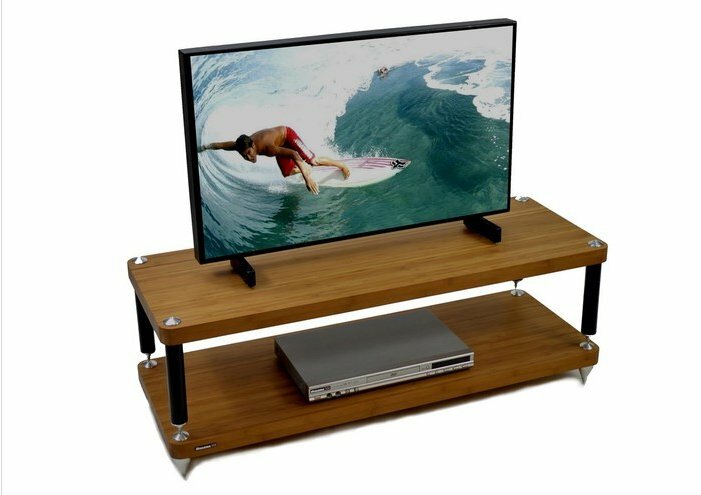 AVF Blenheim Walnut TV Cabinet for up to 37"